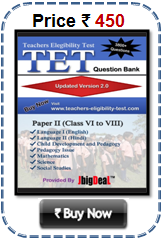 Haryana TET (HTET) Eligibility 2018 Qualifications for Haryana TET Haryana Teachers Eligibility Test (HTET) Teacher for Classes I-V : Primary Teacher VI-VIII:Trained Graduate Teacher (TGT) Post Graduate Teacher (PGT). i) whointents to be a teacher for classes I to V (Primary Teacher) and fulfills the minimum qualification. ii) whointents to be a teacher for classes VI to VIII (TGT – Trained Graduate Teacher) and fulfills the minimum qualification. 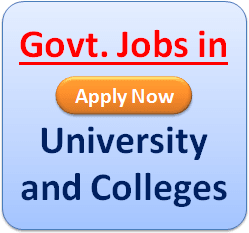 iii) whointents to be a PGT (Post Graduate Teacher) and fulfills the minimum qualification. Teacher TGT Social Studies, TGT Science, TGT Mathematics, TGT English, TGT Hindi, TGT Sanskrit, TGT Punjabi, TGT Urdu, TGT Physical Education, and TGT Home Science. Sir, I had done mca(2 years). Am i eligible for htet xam? I had done mca(2 years). Am i eligible for htet xam? Sir, i had done mca(2years).am i eligible for htet xam? sir, i have done mca reguler from mdu. can i apply the pgt computer teacher htet exam. I can see M.Tech CSE ( Computer science and engg) is not in qualification list for current PGT computer science requirement in HSSC. If MSC computer science is eligbile then why not M.Tech CSE. M.Tech is also regular and two year course then why it is not in eligible criteria for PGT Computer science. Any idea please? i had done btech in IT .m i eligible for computer science post? for applying htet 2015, MCA Distance stdents as to fight case in high court. Those who are intrested please contact 8059413361. we are trying to make a unit to fight the case. more the candidates more will be the impact. i hv done mca(distance). 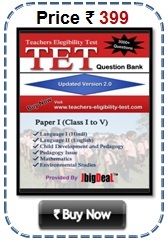 can i fill htet exam. sir i want to now the eligibilty of htet exam.i am ma in political science in 2006.